The Lord Warden Lodge No 1096 is committed to ensuring that your information is secure. In order to prevent unauthorised access or disclosure we have put in place suitable physical, electronic and managerial procedures to safeguard and secure the information we collect online. The Lord Warden Lodge No 1096 will collect general anonymous data on site usage statistics such as page access, duration of stay, browser or device type. This data is provided by default by your operating internet browser or phone carrier and is collected directly by The Lord Warden Lodge No 1096 or through other 3-rd party tools such as Google Analytics.The Lord Warden Lodge No 1096 also reserves the right to use usage statistics on marketing and publicly available material. The Lord Warden Lodge No 1096 (lwl1096.org.uk) website may contain links to other websites of interest. However, once you have used these links to leave our site, you should note that we do not have any control over that other website. Therefore, we cannot be responsible for the protection and privacy of any information which you provide whilst visiting such sites and such sites are not governed by this privacy statement. You should exercise caution and look at the privacy statement applicable to the website in question. 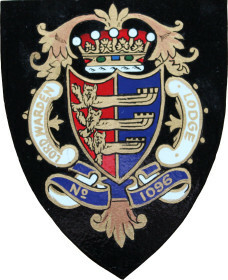 The Lord Warden Lodge No 1096 may place a “cookie” in the browser files of your computer. This cookie does not collect information that personally identifies you as an individual (other than your Internet protocol address), but merely allows us to recognize your repeated visits to lwl1096.org.uk. We use our cookie collected information to make your visit more enjoyable. If you want to disable cookies, there is a simple procedure in most Internet browsers that allows you to turn off or delete cookies, but please remember that cookies may be required to allow you to use certain features of The Lord Warden Lodge No 1096. While The Lord Warden Lodge No 1096 makes every effort to ensure that the content of this website is accurate, the website is provided ‘as is’ and Cookie Script makes no representations or warranties in relation to the accuracy or completeness of the information found on it. While the content of lwl1096.org.uk is provided with the utmost care and attention, we do not warrant that the information will always be up to date, be true and not misleading, or that this site will always (or ever) be available for use. This also includes any legal information related to cookie usage on websites. Nothing on this website should be taken to constitute professional or legal advice or a formal recommendation and we exclude all representations and warranties relating to the content and use of this site. In no event will The Lord Warden Lodge No 1096 be liable for any incidental, indirect, consequential or special damages of any kind, or any damages whatsoever, including, without limitation, those resulting from loss of profit, loss of contracts, goodwill, data, information, income, anticipated savings or business relationships, whether or not advised of the possibility of such damage, arising out of or in connection with the use of this website or any linked websites. The Lord Warden Lodge No 1096 may change this policy from time to time by updating this page. You should check this page from time to time to ensure that you are happy with any changes. This policy is effective from 1st December 2017.